I need to do some profiling. Nice work. I commited a fix for MSVC 2013. 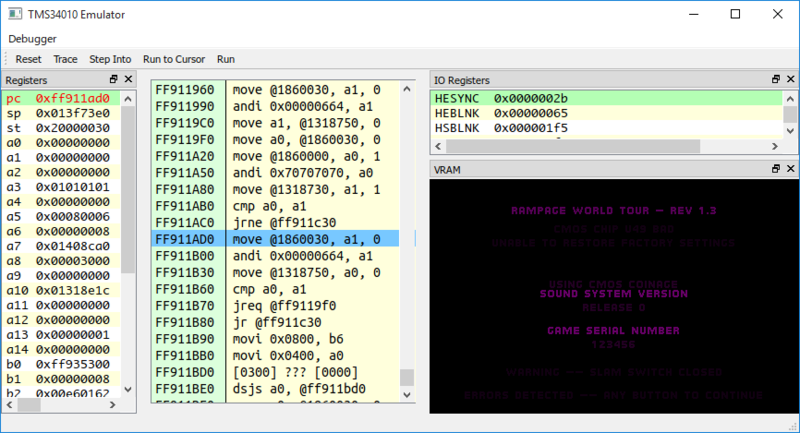 Looks like the first Killer Instinct bombs out pretty early on in MSVC x64 as well as being slow. I look the source code, and have one called d_kinst.cpp here, i try to execute fba.exe kinst, ki, and others but not work, why? 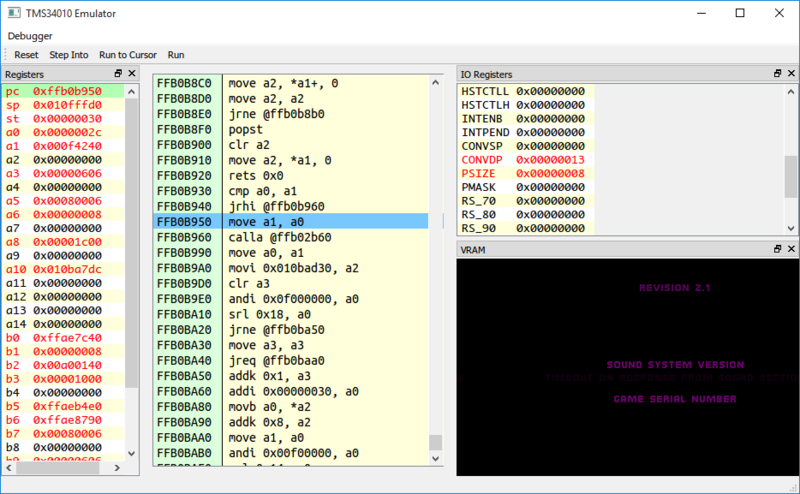 I am working again on TMS34010 emulator, I rewrote everything from scratch because it was completely broken by design (using 64bit memory reads when all access to memory needs to be 16bit), no opcode table for decoder, etc... I can't wait to see some image on screen, but it is very very far at this point. Best of luck on your TMS34010 emu! Some progress with Rampage, I'll try to implement inputs do pass this screen. very nice I can't wait to see the title screen!